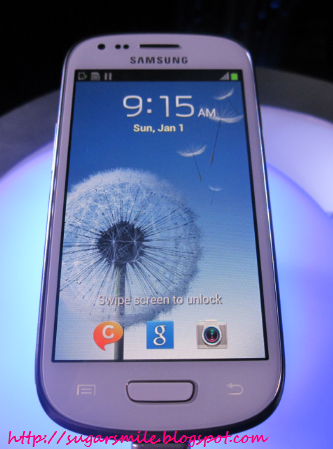 The Samsung Galaxy S III has many things to boast, but now, SMALL is in. 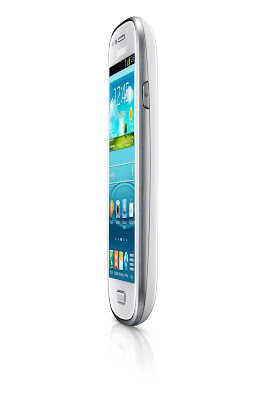 Samsung Mobile launches its GALAXY SIII Mini, a smaller version of the latter, yet provides the same powerful performance and function, which stands out in sense of form and style. During its media launch last January 23 at URBN Kitchen and Bar at the Fort Strip, Taguig, we were asked one question - "Does size matter to you?". And since I'm a believer that bigger is better, I never thought that in one night, my perspective will change. I guess small is in now. And true enough, the Samsung Galaxy S III Mini has proven that it is awesome despite its size. While the DJs of Magic and RX debate if size matter, let me tell you first about Samsung's latest baby. Sharing the same core essence and philosophy of the GALAXY line, "designed for humans", its organic design that is inspired by nature, is definitely one of the reasons why Samsung Galaxy S III Mini is perfect for everyone. Did you know that this sleek smartphone lets you enjoy movies, take photos and browse in crystal clear display even in the brightest environment? Its 4.0” WVGA Super-AMOLED display does the trick. Oh, and wait till you get into its performance, with its dual-core processor, you can enjoy this phone's features such as the Pop-up Play function. This also runs on Jelly Bean, the latest Android OS so you can be sure that its graphics and transitions are super smooth. Just like the Galaxy S III, it also has the Smart Stay (which detects if the user is looking at the display and keeps the display from timing out until the user looks away), the Smart Alert (which detects when a user returns to the phone and gives him a brief vibrating nudge to inform about missed calls, calendar events, and new messages) and Direct call (which allows a user to make a call simply by lifting the phone to his or her ear while writing or reading a message or while specific contact details are brought up to the display). You can also access its advanced messaging service, Ch@tON, specifically for all Samsung Mobile users. With its sleek design and powerful performance, I'm pretty sure I left its launch with a new outlook, that there is more to Samsung Galaxy S III Mini that meets the eye. Luckily for us, it reaches the Philippine shores the February 2 and retails PHP 14,990, and is available in your nearest Samsung Store. The GALAXY S III Mini comes in four colors; Marble White, Pebble Blue, Garnet Red and Titanium Gray. And wait, there's more, mark your calendars because in SM Mall of Asia and SM City Cebu, these babies will launch that day and slash its prices off up to 20% off. 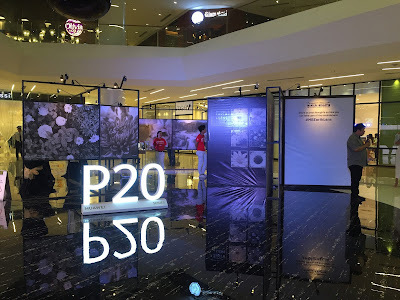 The Samsung Galaxy SIII Mini will be offered free through Globe’s exclusive customizable plans: Globe My Super Plan 999 which comes with P900 Consumable, 50MB data and two call and text freebies* which you can change monthly. Subscribers may also opt for the unlimited data version through the Globe My Super Plan Unli Surf Combo 999 which comes with Unlimited Data and one call and text freebie* which you can also change monthly.